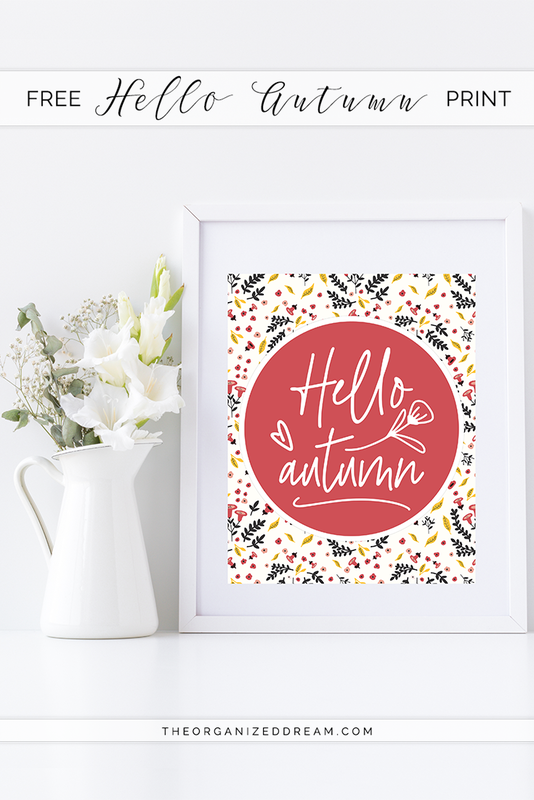 Happy first day of Autumn! It's officially Fall and I'm excited for the cooler weather, pumpkin-everything and Halloween! 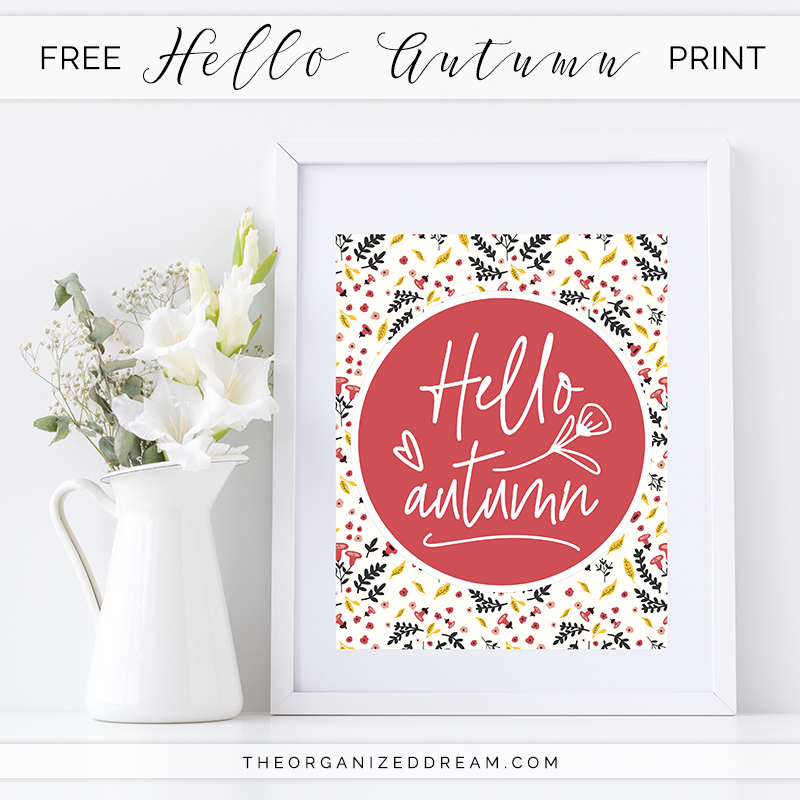 To celebrate my favorite season, I created a fun and colorful printable for you to snag absolutely free! 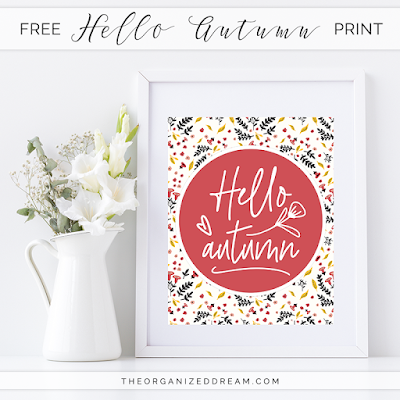 This free Autumn printable features fun colors that will work with any decor! 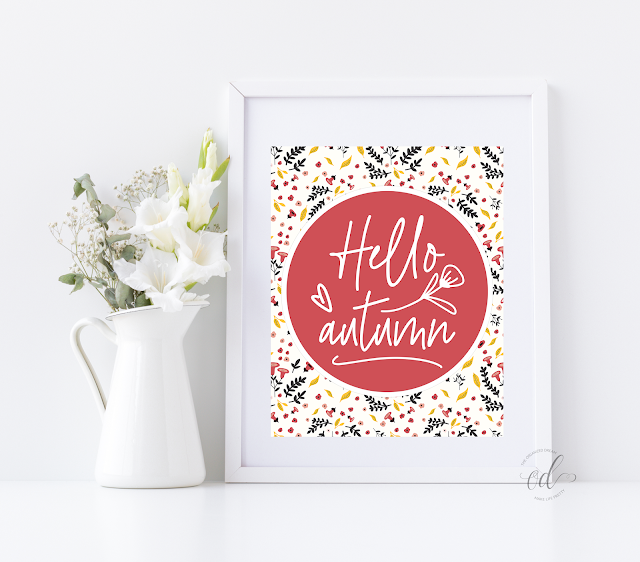 Simply download this pretty picture and print for instant fall awesomeness! This printable is 8"x10". If you would like it to be smaller, simply resize in your printer settings. Not sure how? Check out my How To Resize Printables in 4 Easy Steps post for more information!